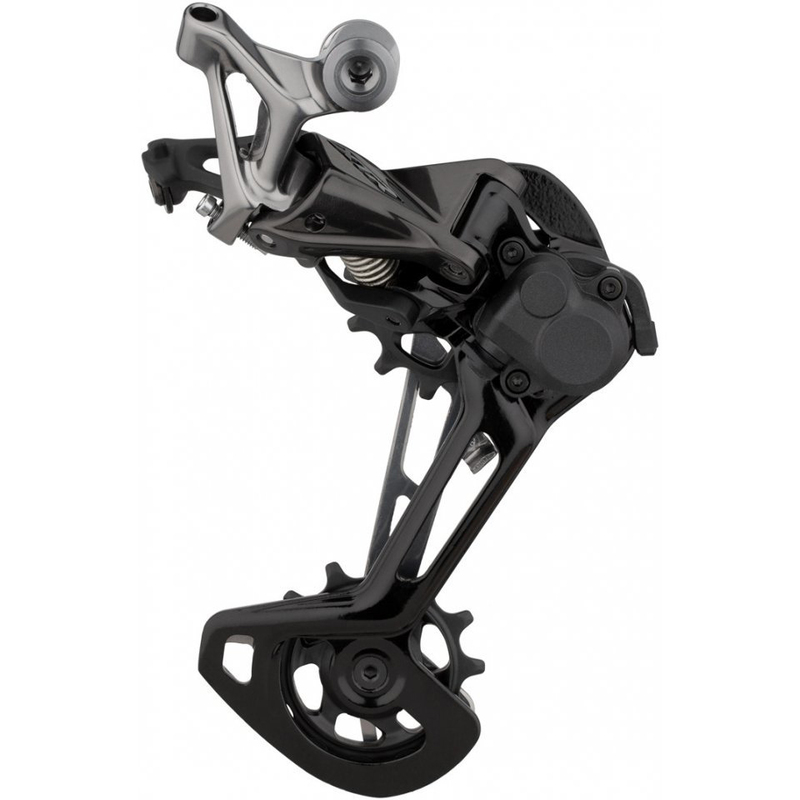 The Shimano XTR RD-M9120 12-speed rear derailleur features an elegant yet aggressive angled design and an attractive anodised aluminium surface. The derailleurs feature bigger 13-tooth pulleys and include Shimano’s proven Shadow RD+ low profile technology. This derailleur is especially designed for marathon riders and cycle tourers who appreciate a wide range of gears when riding off the road. Bigger 13 teeth guide and tension pulleys ensure secure chain travel in all gears. Together with the Shimano Shadow RD+ Design with friction stabilizer, they also improve chain stabilization. The clean design with anodized aluminium surfaces embodies the high technical development standard modern MTB tracks require.